Many People bite their nail when their wedding day comes close and find it really complicated to handle last minute details for the big day and wish for a savior from all these troubles and hectic schedule especially to pull off the wedding smoothly and beautifully for a memory to last a lifetime. Tirumala Marriage is a full phase wedding planning and coordinating company for the first time in Tirumala Hills (Tirupathi), providing services to all the Peoples worldwide. 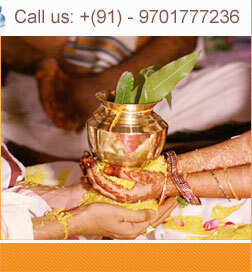 Tirumala Marriage, as a wedding planner, provides services which starts from Matchmaking to Honeymoon Planning. Delightful and memorable Tamil,Telugu,Kanada,Malayalee and all type of weddings don’t just happen, they take thoughtful planning and careful co-ordination. 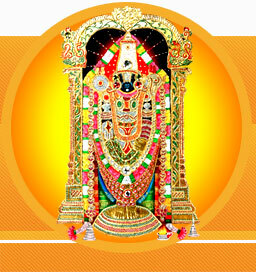 Tirumala Marriage will help in developing a vision to make the event totally unique and remarkable both nationally and internationally. We believe in creating better than the best and strive for complete satisfaction of our clients. Tirumala Marriage can ease the burden of finding and arranging every requirement of the wedding, lighten the task of coordinating the event and most definitely save your time and money. Tirumala Marriage’s primary goal is to ensure that your event reflects the style and image associated with who you are and what you stand for. Whether this is our client’s Matchmaking, Wedding Ceremonies, Shopping, Entertainment etc. We want every detail to be both pleasurable and a memorable experience. 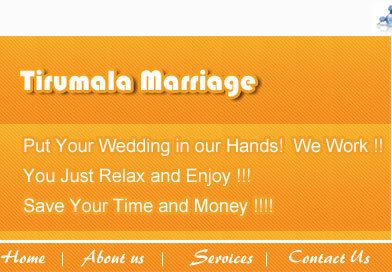 Therefore we offer a host of packages and services specifically tailored to the needs of each couple. Decorations are an inevitable part of the wedding ceremony; everything needs to be decorated in a tasteful manner to make an overall impact. Car decorations need to be done carefully.